AHEAD of the 2018 Port Adelaide Football Club Best and Fairest event on October 5, we thought we would profile some of the players who could be in contention to win the coveted John Cahill Medal. The rest of the AFL has now realised what everyone at Alberton has known for a long time - Robbie Gray is an absolute star of the competition. The 30-year-old is renowned for his ability to play both as a creative clearance-winning midfielder and as a hard-to-defend classy goal-scoring forward. His impressive season was capped with his fourth All-Australian selection on the half-forward flank, making him just the second Port Adelaide player, behind Warren Tredrea, to achieve the feat. 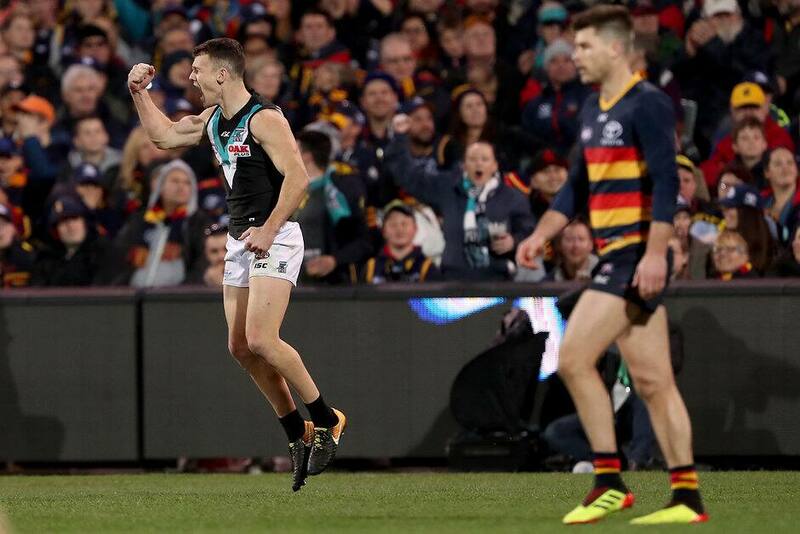 Robbie Gray played every game except Round 1 in 2018, after he was suspended in the pre-season. He averaged 9.2 kicks, 11.7 handballs and 3.2 tackles per game. His season average of 20.9 disposals is better than his 20.0 disposal career average. Gray also improved his goal-scoring average from 1.5 across his career to 1.7 in 2018. He fell short of his career average in marks, taking 3.5 on average per game, down from 3.6. Having missed the first game of the season through suspension, Gray started strongly in Round 2 with 26 touches, three marks and a career-high 10 tackles, to go with a goal against Sydney. He had a career-high 39 disposals against Essendon and 32 a week later against Geelong when he also booted a goal. Gray won the Showdown Medal in both matches against Adelaide this year with a remarkable career-high six-goal haul in the Round 8 win, which included five majors in the third quarter, and he booted four goals to go with 20 touches and five marks in the Round 20 heartbreaker. Against the Western Bulldogs in Round 13 he had 28 disposals, four marks and three goals in another fine performance where he spent more time on the ball.